Convenient private swimming lessons from your own home. Welcome to Swim Personal. As a mobile swim school service our aim is to provide you with the best learn to swim practices by the most experienced teachers in your area. 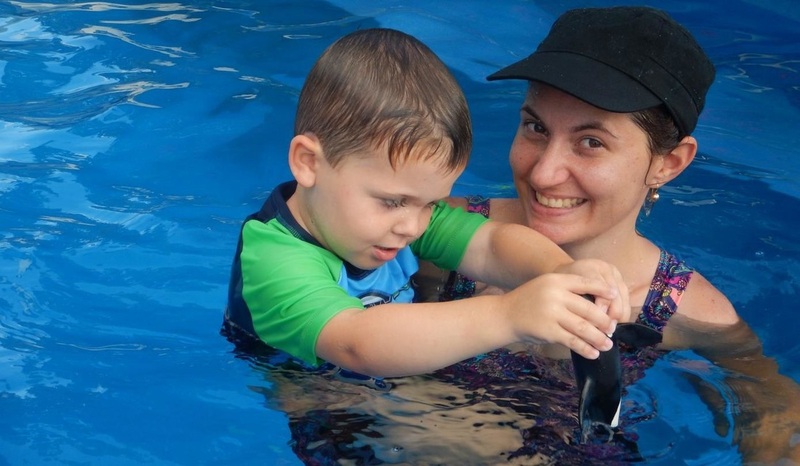 Our team of highly skilled learn to swim teachers are experienced to introduce skills and techniques that will allow you to see consistent progress over a short period of time. One on one instruction allows each instructor to adapt a lesson plan that will provide quick and effective results. Creating a fun learning environment, focusing on maximising practice time and educating the parents along the way is important is key to consistent progress. No matter what age or ability, our aim is offer you a professional learn to swim service in the comfort of your own home. Enquiries and bookings are made fast and simple! Learn to Swim. 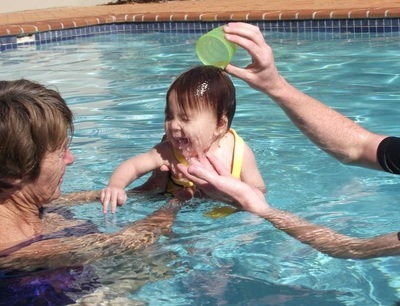 Having children who are independent or 'water safe' is the ultimate goal. Let us walk you through proven steps on how this is achieved. Learn various holds, breath holding techniques, strength exercises and much much more. As an instructor its always important to create a fun and stimulating learning environment that will promote trust, understanding and improvement. ​When progressing towards a combination of kicking, paddling and breathing drills it is important that each skill is practiced effectively to ensure good technique and coordination. Whatever age you are and whatever ability you are, we have highly qualified and trained instructors ready to help you out. In this day and age finding time can be hard so why not do it at your own pace in your own pool without the hassle of travelling. In 2004 I was invited by Laurie Lawrence, an Australian Olympic and World Champion Swim coach, to join the largest free touring show in Australia. The 'Kids Alive Do the Five' show is a drowning prevention campaign which incorporates an interactive educational approach through song and dance. Travelling across Australia on and off for over 6 years, the show has performed and visited over 595 country towns, 50 remote communities and played to more than 250,000 students Australia wide. Following my experiences on the road I was recruited as a teacher in the Learn to Swim business. Through hands on teaching and mentoring from Laurie I quickly moved to establishing a great reputation. These skills enabled me to travel extensively promoting the high level of skills and knowledge to the growing aquatic industry. Seven years of employment by the Laurie Lawrence Enterprise has given me a solid foundation and every opportunity to grow and excel within the industry. Between 2011 and 2012 I worked as a Learn to Swim Manager at the Gold Coast Aquatic Centre. Throughout this time I successfully worked to establish a professional teaching program, mentor teachers and reach my targets of conducting and managing 1200 lessons a week in the centre. "Dave is absolutely amazing with our kids. Our son has a blast every lesson and looks forward to going back every week. We highly recommend Dave as a swim teacher for your child"
"As an experienced high school teacher I understand the impact good teachers can have on children. Dave's 10+ years experience is shown everyday with his enthusiasm , repair and guidance in teaching our children to swim. He is an awesome swim teacher!" "David is the most amazing swim teacher there is, my two year old grandson started with Dave maybe 10 weeks ago and I couldn't be happier. Dave makes the kids feel at ease and makes the lessons enjoyable for them. Chevy is now learning how to paddle and kick and I am quite sure he will be swimming with the big kids this summer. ​understand the steps needed to see consistent progress. Having goggle issues? Not any more. Brisbane and Gold Coast, QLD, Australia. Swim Personal team and we will assist where we can.